YouTube is the largest Video sharing platform and we usually watch videos on Youtube to learn, enjoy etc. If you following any particular channel or playlist, then you might want to download the entire playlist so that you can watch them later. 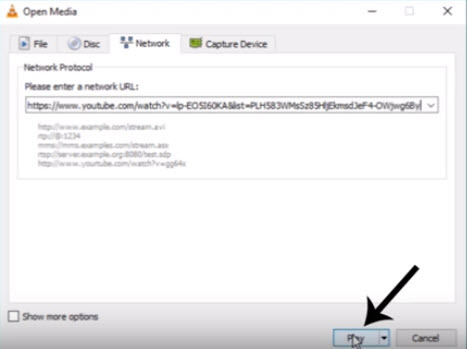 There are 3 ways to download the entire playlist from youtube. Let’s check out a detailed guide and learn the best ways to download any youtube Playlist. 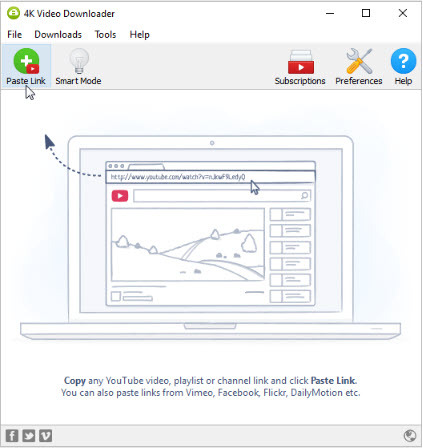 Let’s learn step by step How to Download the entire YouTube Playlist with three simple methods. Step 1. Begin by opening the VLC media player and choose Media from the top list. Step 2. Then choose the Network Stream option. Step 3. Go to YouTube and open the playlist you want to download. Copy the playlist URL from YouTube. Step 4. Paste the URL into the Network Stream box and tap on Play. Step 5. Afterward, choose Tools and Codec Information. You will see that the first video is still playing in the background. Step 6. Next, copy the data in the Location box found at the bottom. Step 7. Then you have to paste the location data into a browser tab and click Enter. The video must now play in your browser. Step 8. Lastly, right-click on the browser window and choose Save As option from it. Your desired playlist will download. Note: This procedure will download all the videos in the playlist in turn. You will need to perform Steps 4-7 for each track, and that’s it you successfully download all videos from YouTube playlist. If you are not interested in using VLC media player, there is another option as well to download the whole playlist – by using any one of the apps available online. One such app is 4K Downloader App. Step 1. First, download and install the 4K Video Downloader app. The app works for – Windows, macOS, and Linux. Step 2. Go to YouTube and open the playlist you want to download. Step 3. Copy the playlist URL from the browser. Step 4. Then you click ‘Paste Link’ button at the top right corner in the 4K Video Downloader app to paste the URL you copied. Step 5. Next, you have to click ‘Download Playlist’ option to download the whole playlist from YouTube. Step 6. Wait for a while as the app prepares all the data about the YouTube playlist. Step 7. You can choose a quality type from the download window and then click the ‘Download’ YouTube dialogue box. Step 8. Lastly, wait until all the files from the playlist downloads, and you are done! One more option is using directly using a website – YouTube Playlist that will also do precisely what other methods did, i.e. to download all videos from YouTube playlist. Step 1. Go to the YouTube Playlist site and click the title Download YouTube. If prompted you do not need to download any software from there. Step 2. Then go to the YouTube playlist and copy its URL. Step 3. Paste that URL into the center box and click Enter. Step 4. You can also choose the audio format you need. Step 5. Wait for a moment to allow the website to collect the playlist data. You would see it load underneath the blue box showing the number of videos in the playlist. Step 6. Finally, hit the green download button which you will find next to every track.